The WordPress admin area offers a plenty of features. So, it can easily overlooked either you use one or many practical options. 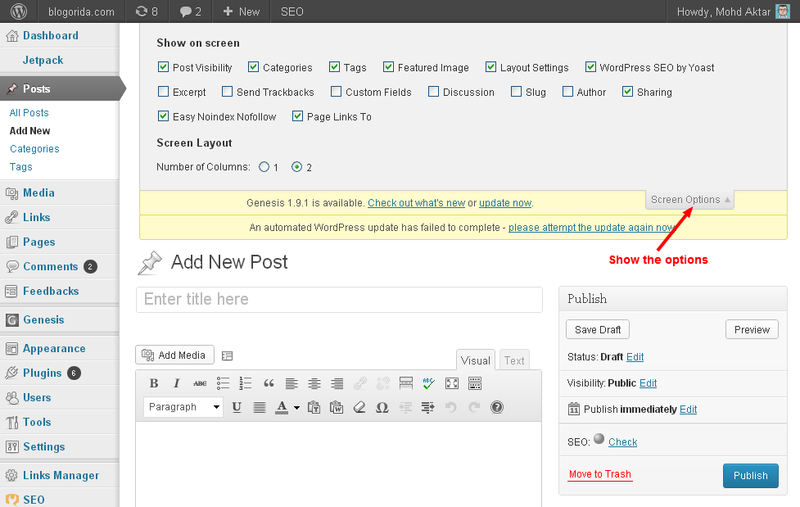 WordPress also presents new practical features after all that come with every WordPress updations. In the WordPress version 3.4, there is a new Customize function that is made with the theme customizations for a Live Preview. By default, the new feature works for customizing the blog title like description text for header and the background, selection of individual menus and having a static home page. You can call the customize function in Design / Themes / Customize link at the active theme or the live preview link for all inactive themes. In future, this practical new feature will be expanded even further. 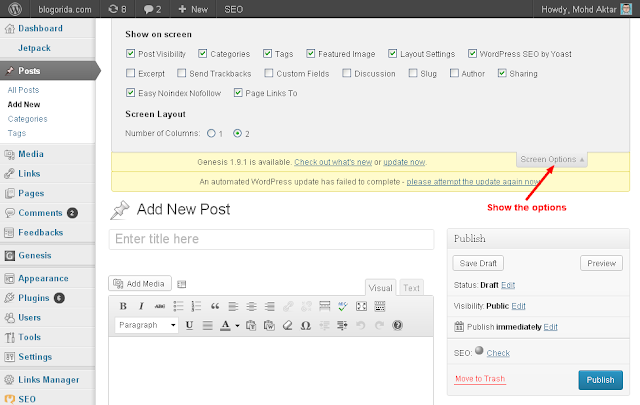 The adaptation of themes, especially for WordPress newbies is much easier, because you get the same first impression, how the theme will look like. 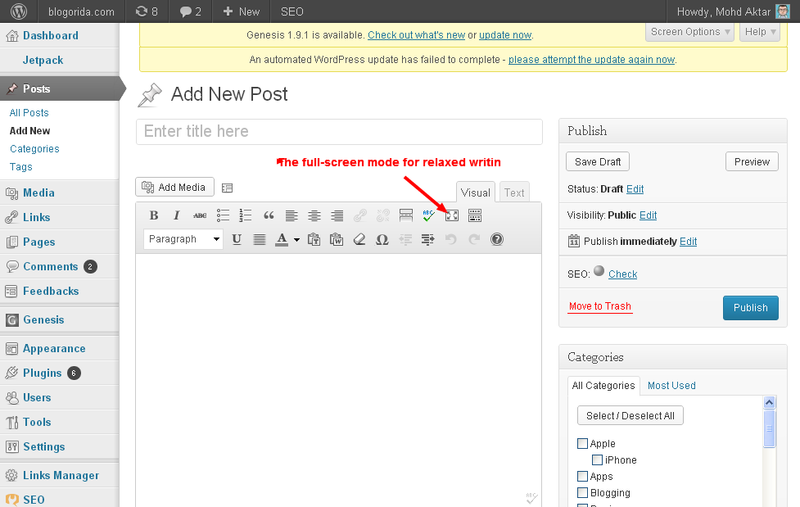 The full screen or Zen mode is a brilliant feature concentrated in writing articles directly in the WordPress admin area. 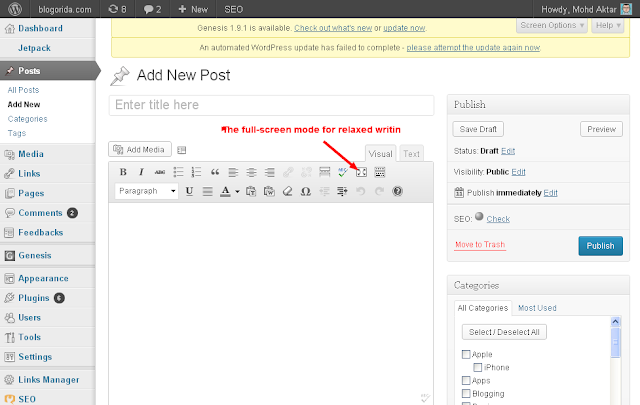 You can activate the Zen mode by Full Screen button provided in the button bar of the text editor. 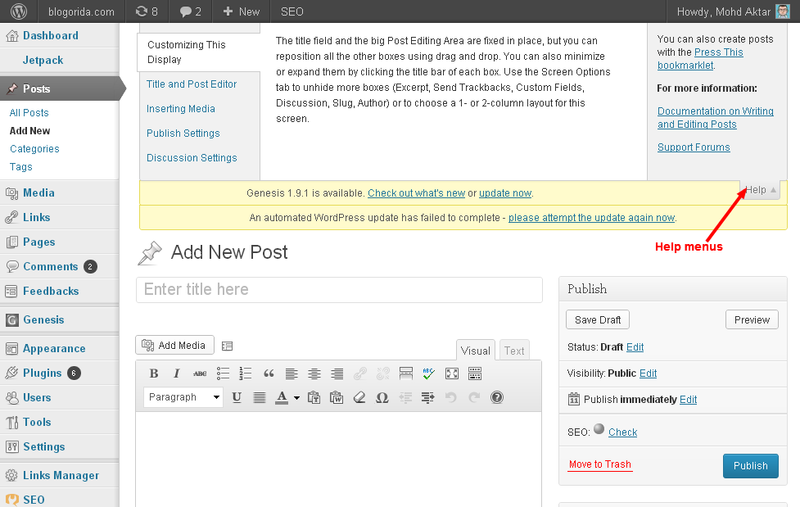 Then you will get a full screen view of the article with a top bar for main editing options. Even the handy little help button (top right in the admin area) is often overlooked. It provides useful explanations and links to related articles contained in WordPress Codex. Most of the help contents have been translated in German, only some are so far shown in the original English. 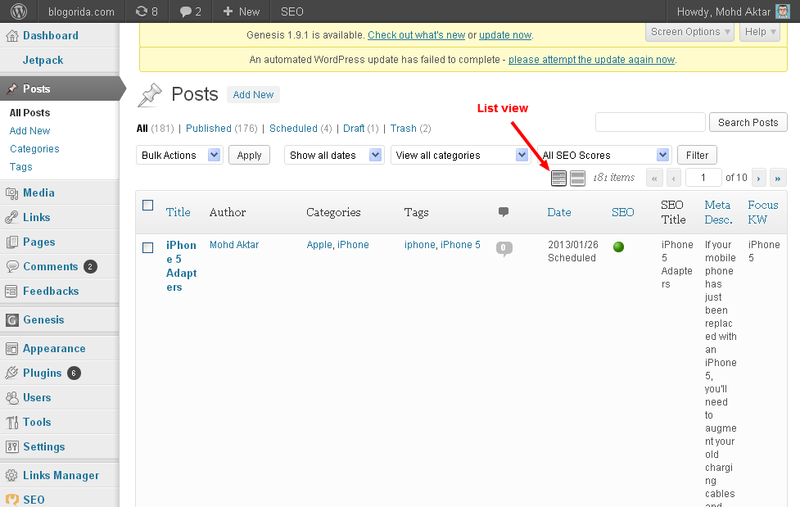 The feature that will be overlooked by most is the "Show Options" button present in the WordPress admin area. A small gray button on the right top of the admin area (next to Help) resembles it. 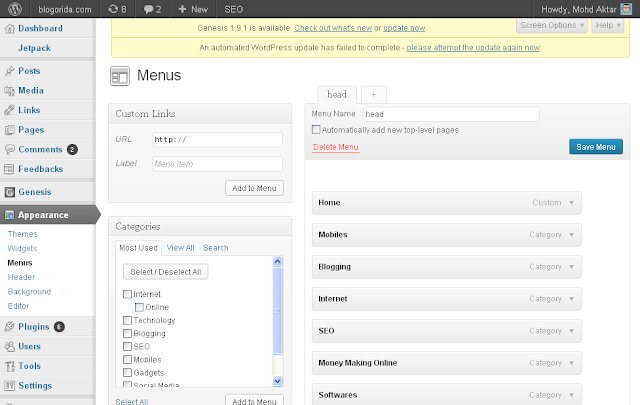 It shows many extra features such as setting their own dashboard view (1-4 columns, with different options of user choice) (or in the view of the article index, different elements can be turned on or hidden).Even we can activate or disable comments on pages with some settings in the options. The Fade function present immediately to hidden option is useful in creating custom menus. In this, we need both the options to select individual menu items (eg keywords or item formats), including the advanced properties link target (new browser tab or not), your own CSS class and link relationships. The translation of Sticky Posts using "hold items above" is in my opinion not the most felicitous function to keep certain blog articles on the top therefore, often overlooked once. One can find the sticky post option either to write or to edit a single article in publishing / visibility / Edit / "This item on the Home screen." The dark Admin bar (or toolbar) is convenient, but sometimes we need them to hide, especially at the front end of the blog. To show or hide the toolbar, you can go to - users / your profile / "Show Toolbar for me on the Customize”. Another often overlooked feature is the "Biographical Summary" along with Admin bar. Here is a brief about text (if links are supported) that can be entered, which is then (if supported by the theme)provided in the author info below individual products or even on its own authors page. In my view, the potential for product overview in admin area are used rarely or only partially. For example, you can customize the display very nicely by itself between the list view and item view with preview text. It hides elements (see section 5) and also searches the filter for the following use of older articles. The number of items per page can be customized via the options-fading function. With Settings / Media Center, you can customize the formats for all screen sizes (thumbnail, medium image size and maximum image size). Also handy is the option to define your own image folder (instead of the uploads folder). Here, you can also set whether you want to sort all the media inside the upload folder again by year and month or not. What are your favorite features in the WordPress admin area and what are the features overlooked by you? 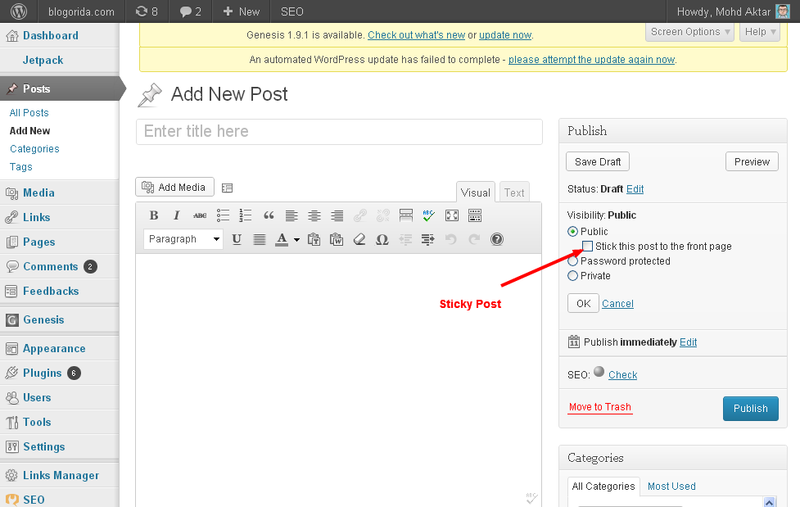 About your other tips use WordPress functions !